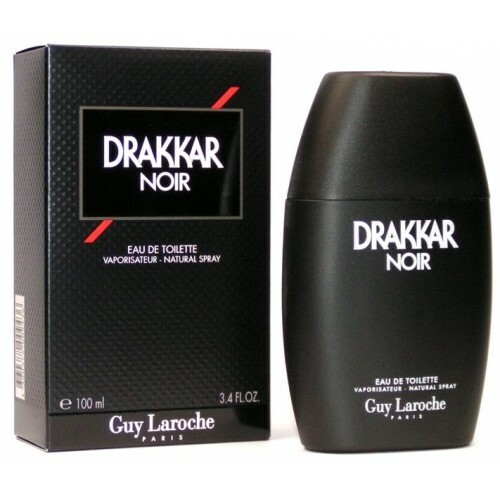 Guy Laroche Drakkar Noir is a classic image of the noble knight & a true gentleman. Guy Laroche Drakkar Noir For Men 100ml. EDT is an aromatic fragrance for men launched in 1982 that was created by perfumer Pierre Wargnye. Because of its timeless this fragrance and now enjoys popularity and unresponsive to any person. Drakkar Noir combines elements of youthful exuberance made using fresh notes with power and wisdom of mature people who know what they want from life, some highlighted by spicy notes found in the composition of the perfume. Scent opens with tones of rosemary, lavender, basil, lemon verbena, bergamot and lemon, and the heart feel the flavors of cinnamon, juniper and jasmine. The base is made of sandalwood flavors, fir, amber, patchouli, vetiver and cedar. Guy Laroche Drakkar Noir - a classic image of the noble knight and a true gentleman, who can not refuse to noble manners and elegance of style. But even the most decent, courageous and even hard men her his little weaknesses, whims and caprices. Drakkar Noir was created with this mood, to make a note of their daring negligence, a touch of levity and intrigue. Those who adhere to a strict and restrained style, you need something sensual, provocative. It is in this "shocking" element and becomes Guy Laroche Drakkar Noir! Top notes are rosemary, sage, lavender, basil, lemon verbena, bergamot, lemon. Notes the "heart": coriander, cloves, cinnamon, juniper, jasmine. Base notes are leather, sandalwood, fir resin, amber, patchouli, oak moss, vetiver and cedar. Fragrance created in 1982.